Microsoft released a total of 17 updates on Tuesday addressing 40 software vulnerabilities in the largest Patch Tuesday update.Â Of the 17 updates, only two were rated “critical”. The Internet Explorer fix (MS10-090) addressed seven flaws, six of which were critical; most of the flaws were used in hacking attacks. 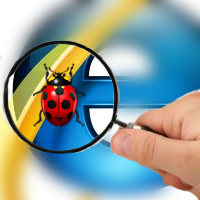 Â This flaw affects every supported version of Internet Explorer excluding IE9, says Microsoft. The second critical flaw (MS10-091) fixes a bug in font handling. Â Microsoft says MS10-091 is a Windows update, but also indirectly affects IE and any other browser that uses OpenType — including Firefox, Chrome, Safari and Opera. Microsoft has not said whether or not these browsers need to be patchedÂ separatelyÂ or not. Â Opera Software, which uses OpenType, said their browser does not need to be patched. “The patch for Opera is the referenced Microsoft [MS10-091] patch, as it is not possible for the [browser] to protect itself against the problem, except by disabling webfonts, since the problem is in the OS’s handling of fonts,” said Thomas Ford, an Opera spokesman. Though Microsoft has patched many problems, they haven’t released a fix for the CSS vulnerability which was released in a mailing list last week. Five other patches fixed many components which were used in DLL hijacking. Â Though there are many other components that need fixing, this is a great step-up from theÂ lousy one patch in October. According to Symantec, this Patch Tuesday broke multiple records and broke total updates in one year. Of the total 40 individual patches, nine were critical, 29 as important, and two as moderate. Jerry Bryant,Â a group manager with the Microsoft Security Response Center (MSRC), believes the large number of patches are due to Microsoft going through their backlog of reported vulnerabilities.